I've been really into cobblers lately. After making that peach cobbler, I tried the same recipe but with a can of apple pie filling, and it turned out delicious. 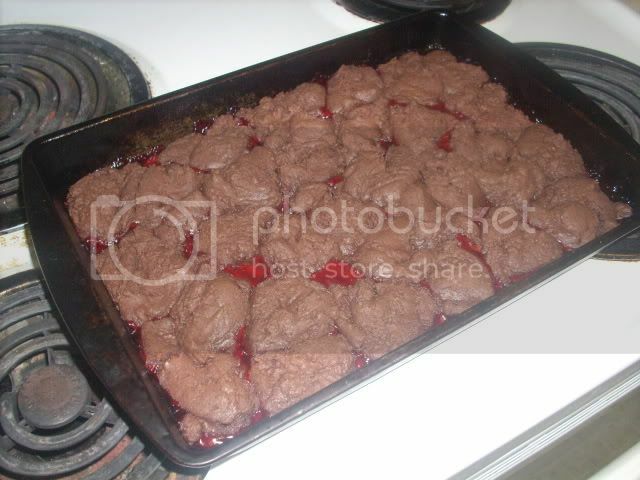 Then tonight, in the mood for another fruity cobbler dessert, I created this easy and tasty treat. I simply topped cherry pie filling with cake mix cookie batter. Sweet success! Heat oven to 350. In a bowl combine cake mix, eggs, and oil. Mix well. Spread pie filling into greased 9x13 baking dish. Drop batter by spoonfuls over pie filling. Bake for 15-17 minutes. This would be great with ice cream or whipped cream, but even by itself it's super delicious. You're so clever & creative! I never would have thought to put these two things together, but will definitely have to try it soon. SO glad you shared...MMMM! I love cobblers too - quick 'n' easy recipes are right up my alley! 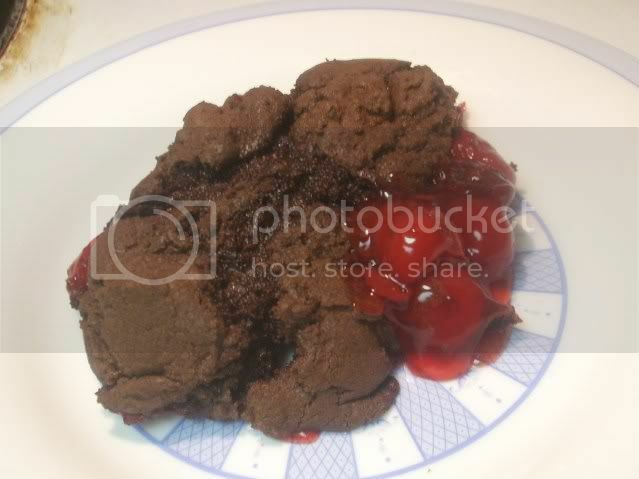 Black Forest Cobbler using a cake me, you KNOW I'm in! This looks delicious! Cherry and chocolate, perfect combo!